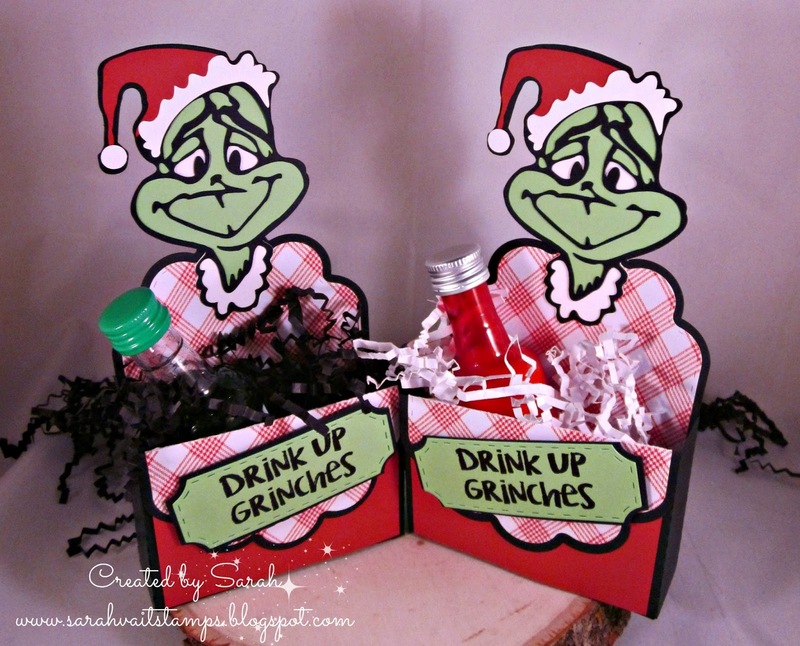 Welcome crafty friends! 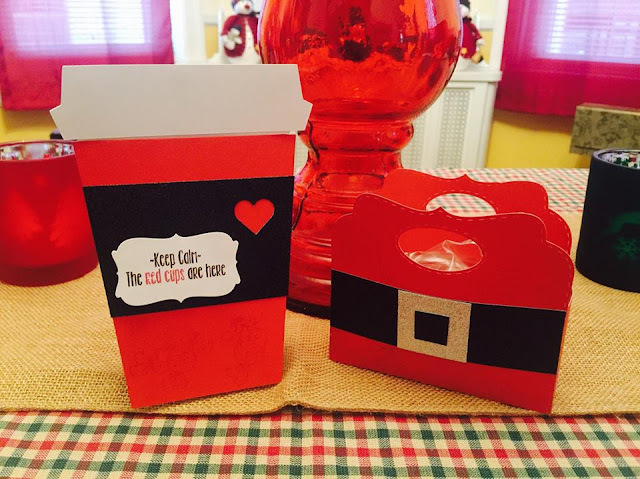 Jen here from Cr8tive Chix with an adorable project! 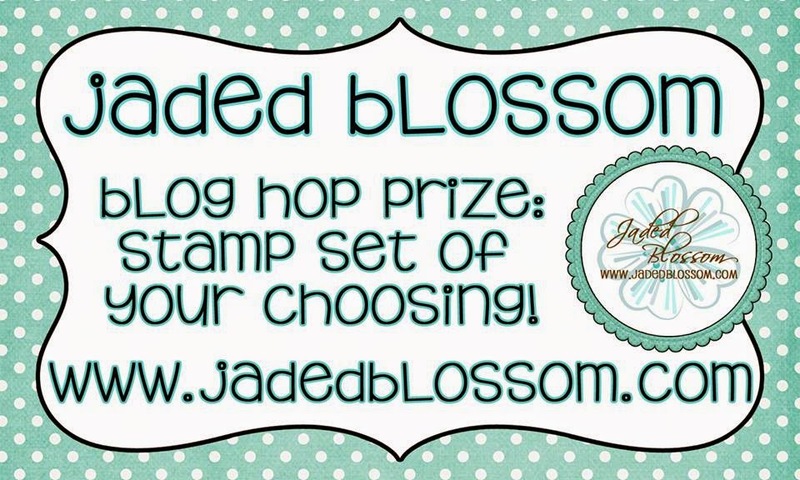 I couldn't be happier to be chosen as a guest designer for Jaded Blossom for the 2nd year! I'm in excellent company and the design team and guest designers know how to craft! I hope you all had a wonderful Christmas, or Hanukkah if you're still celebrating! My Godson/Nephew, Brandon is celebrating his 5th birthday today, Happy Birthday Bran! So I ask my BFF Shannan what does Brandon like? She tells me that Brandon loves Paw Patrol, Thomas the Train, Legos, Pirates and Pete the Cat. 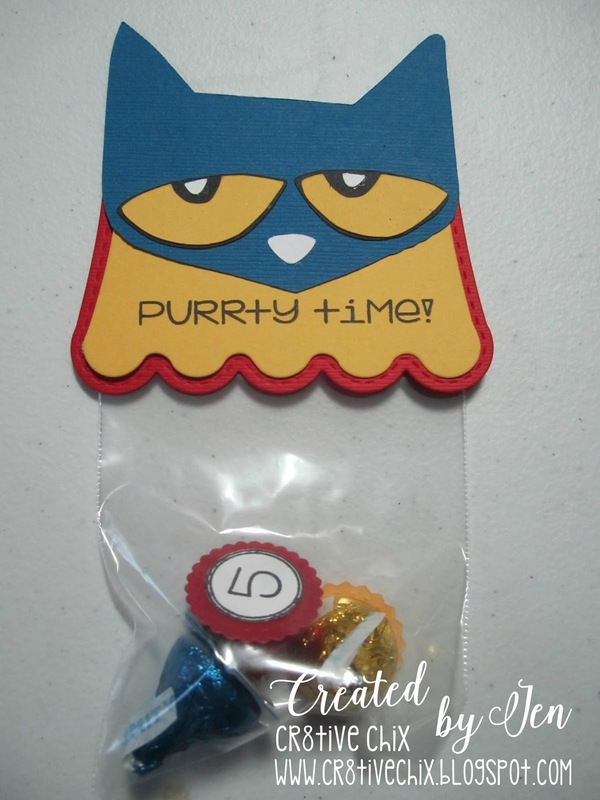 Brandon's mom does not like Paw Patrol, so I opted for Pete the Cat to make some fun treats for his classmates. 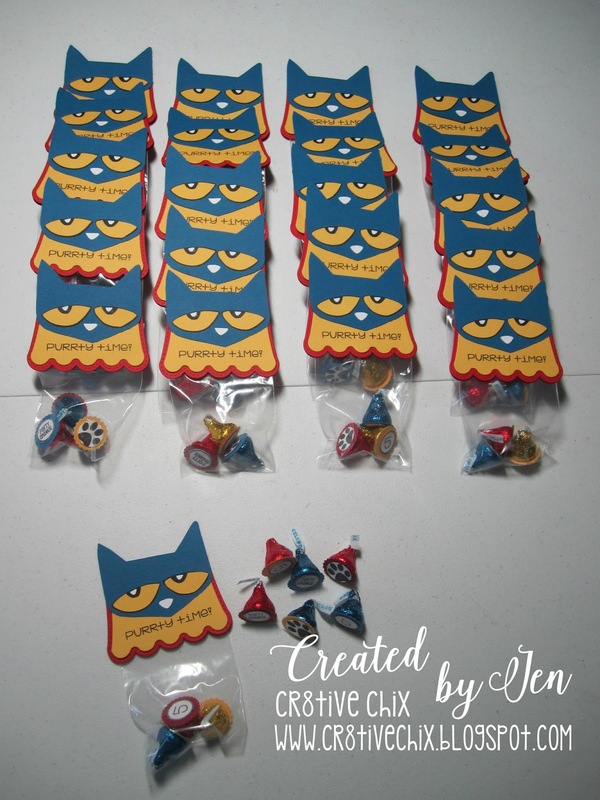 Pete the Cat is a children's literary character, according to my BFF "He's like the Cheech & Chong of Children's literature", and "Pete always looks halfway stoned". LOL! So without further ado, I bring you my project. I hope you enjoyed my project! Happy New Year! Thank you to Candace & Michelle for allowing me to showcase my project! I can't believe Christmas is over...time is flying by!! 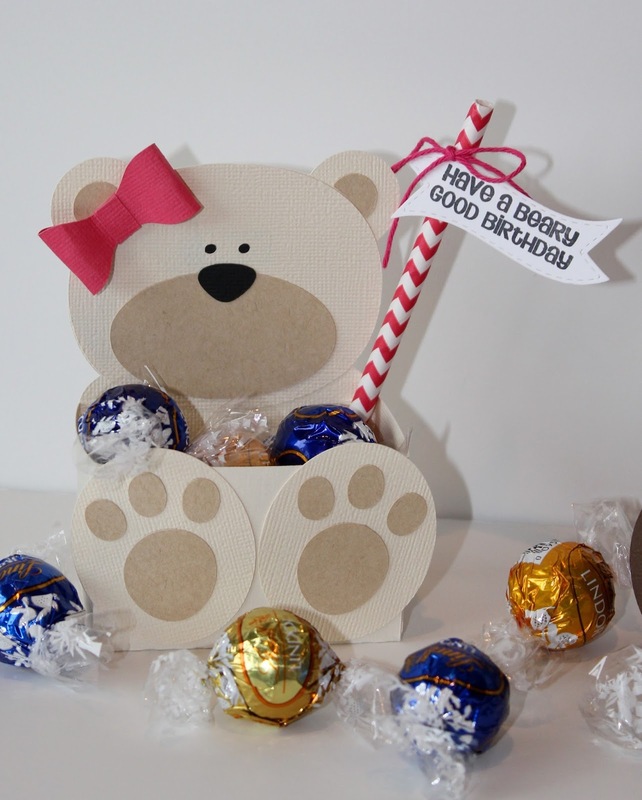 I am always in need of birthday items so that is what I made for todays project. 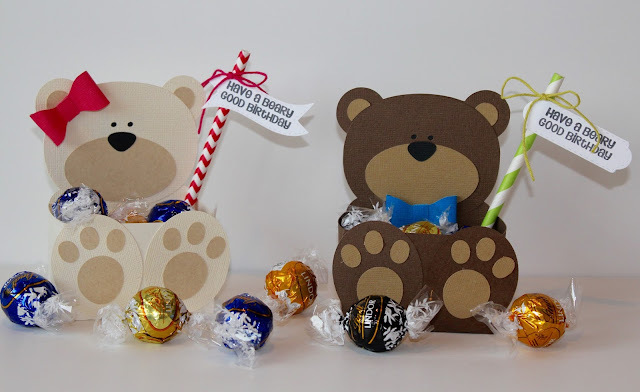 I used the Bear Belly Box from the Silhouette Store and filled them with treats. 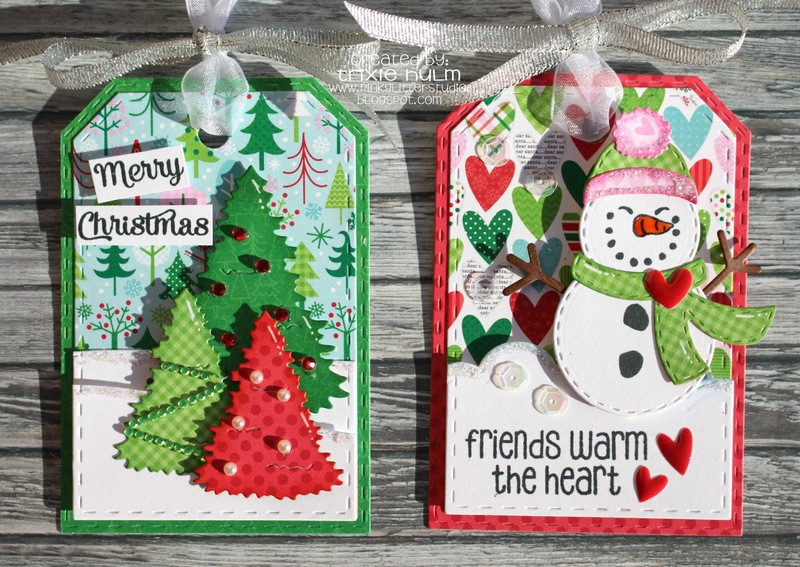 The fun tags were made with the Mini Tags Dies 2 and the Forest Friends stamp set. 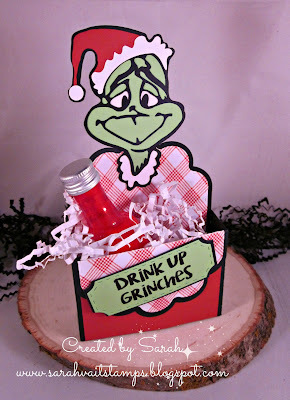 I'm so excited to be a Guest Designer for Jaded Blossom today. Thank you so much Candace and Michelle. Today I used Jaded Blossom's Dies to make some Christmas tags. LOVE LOVE Jaded Blossom Dies!! I used Christmas Kindness, White Christmas, Snowman Faces, Luggage Tag Dies, Snowman Dies, Border Dies 2 and Christmas Dies 2. 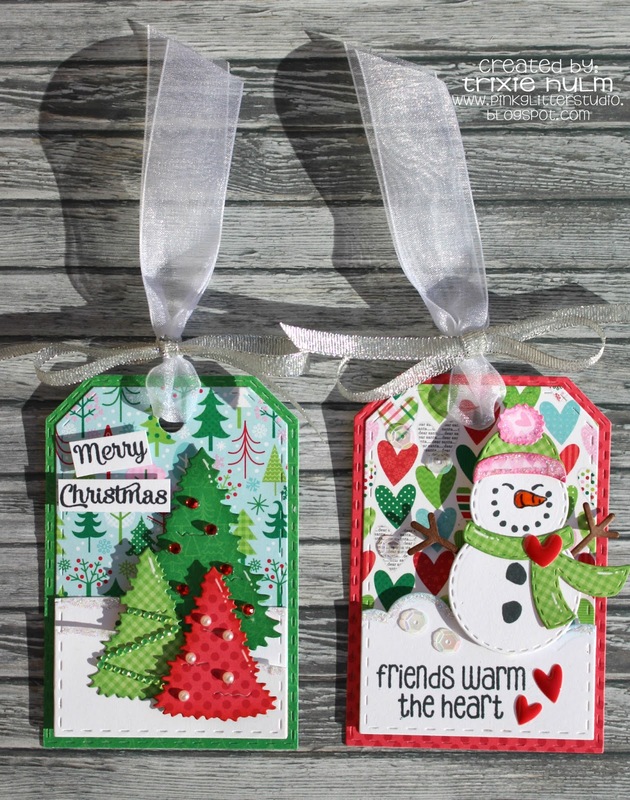 I also added some Stickles and Embellishments to my tags. 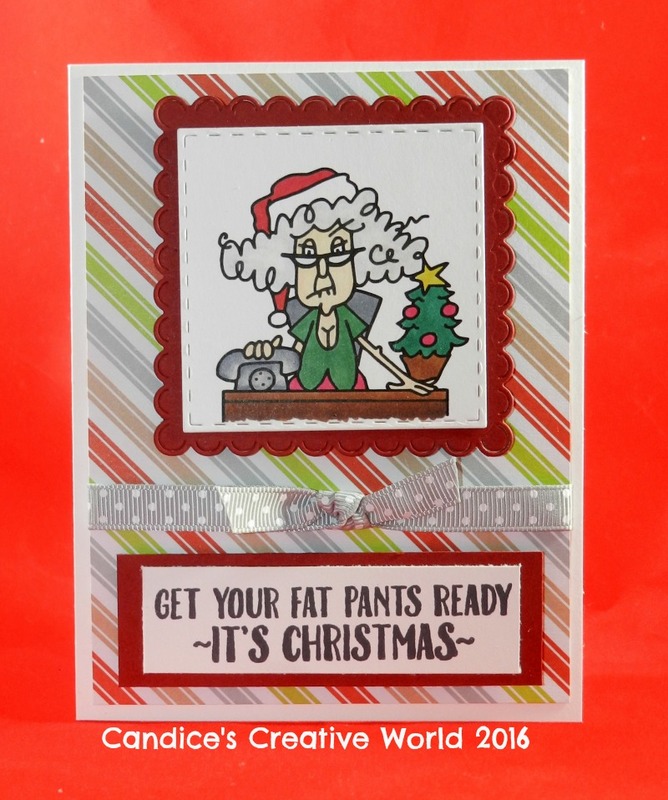 Barb from BugBites here and I am delighted to be a guest designer this week here at Jaded Blossom. 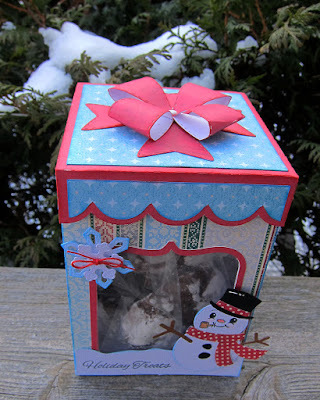 Today I am sharing with you a little last minute treat box I did. 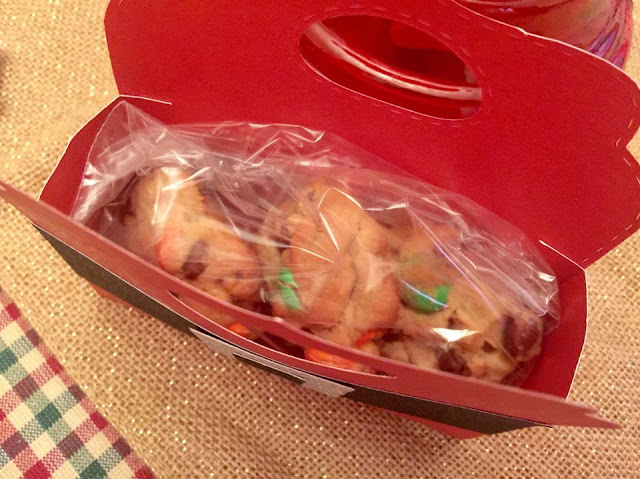 I love giving cookies as little gifts to neighbors and friends so this was a perfect box for that. I found the box on the silhouette store here. I used several JB dies and stamps to decorate the box. I did a double bow using the bow die and punched a tiny hole in the center to secure all the piece with a white brad. Here's a list of all the goodies I used today. Hi there! 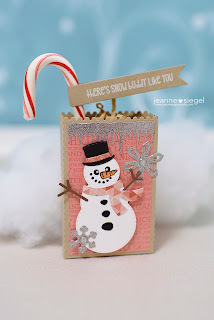 Jeanne here, from Jeanne's Paper Crafts! I know it's been forever since I last posted anything. Nearly a year! 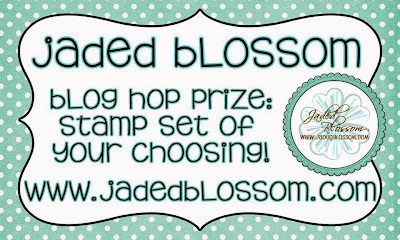 But today I am honored to be a guest designer for Jaded Blossom! 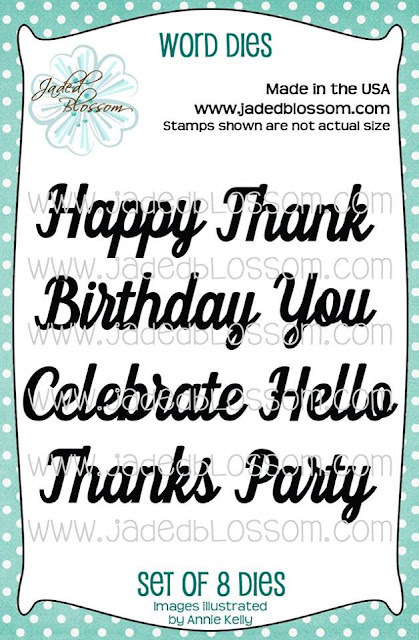 I still absolutely LOVE my Jaded Blossom stamps and dies, and have continued to grow my collection even though I've been on a hiatus! 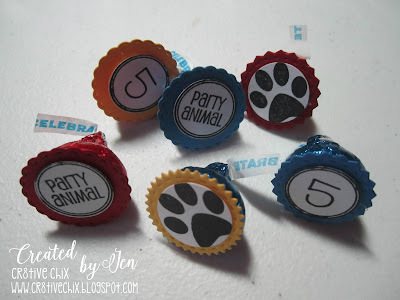 Anyhoo...Candace and Michelle from Jaded Blossom are hosting guest designers all month long on their blog, and today is MY day! So what are you waiting for, let's get to it! For my project, I created some super cute little goody bags. 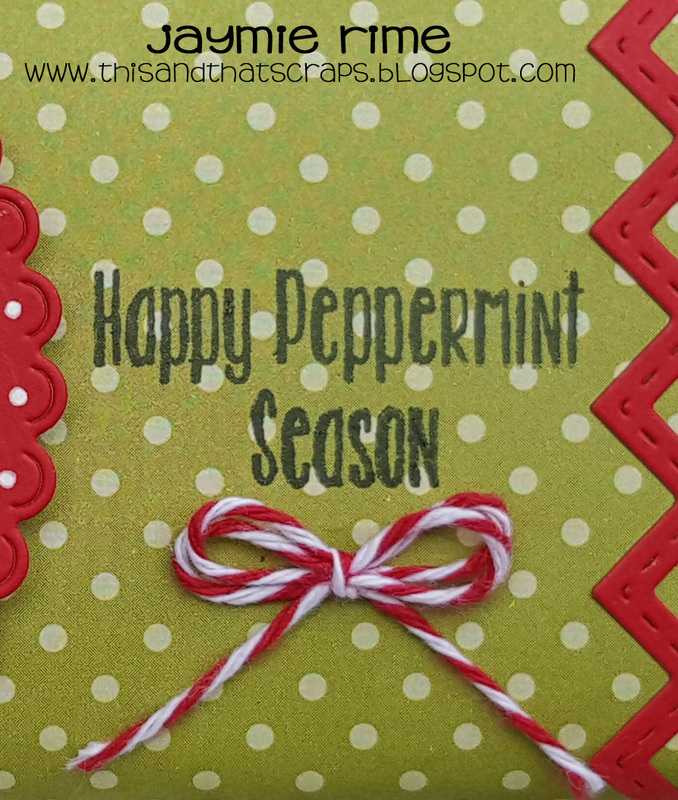 One of the things I love about Jaded Blossom is that you can create tons of projects with their stamps and dies. 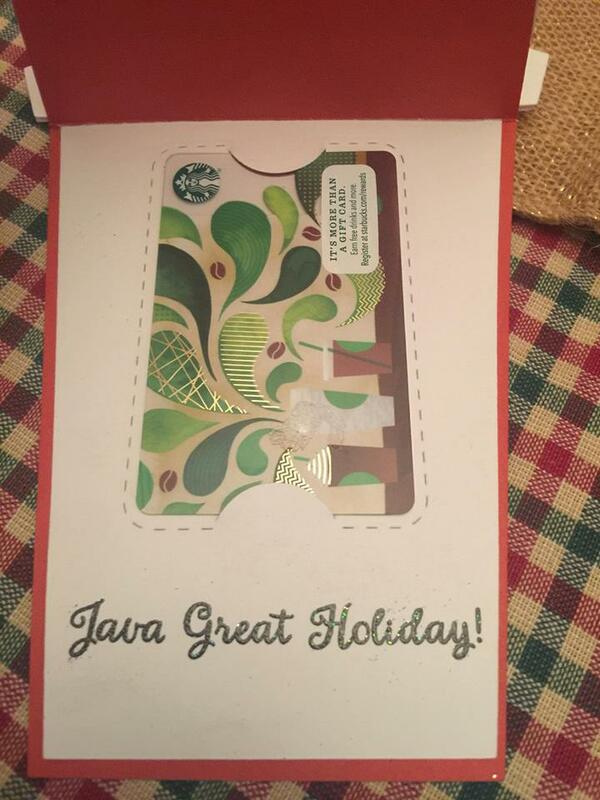 And like today...you don't even need to turn on a computer or cutting machine. 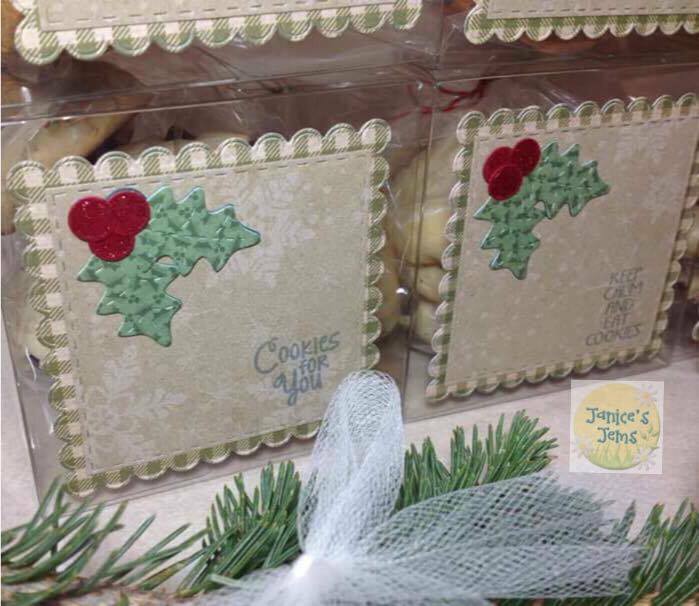 For my treats today, I decided to use the Jaded Blossom Goody Bag Dies. 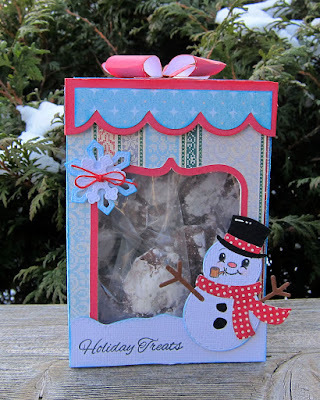 This treat bag is the perfect little size for just about anything! 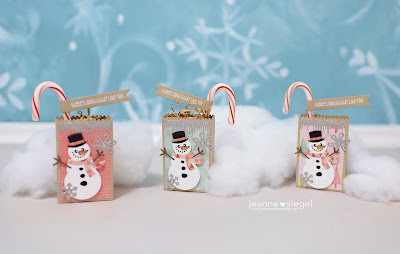 Aren't these little snowmen just the cutest! The snowmen are from the Jaded Blossom Snowman Dies and their cute little faces are from the Jaded Blossom Snowman Faces (Add On) stamp set. The die set includes everything you need for these little snowman...plus a few other options as well! 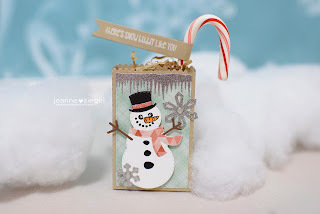 For my sentiment tag, I used the Jaded Blossom Flag Dies 2 to create a flag for my candy canes. In order to have the flag wrap all the way around, I just placed the cutting plates at different ends of the dies on my Big Shot to make the flag longer. 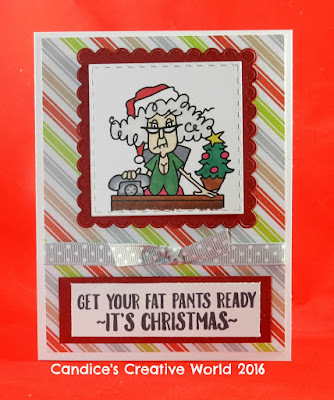 The sentiment is from the White Christmas stamp set. And of course, I had to add some glitter! 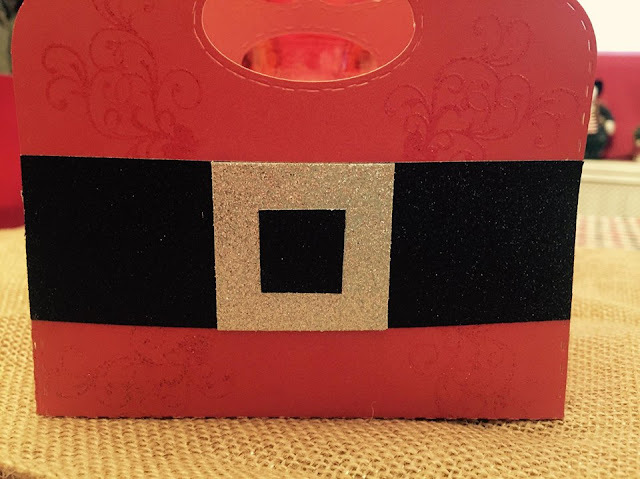 Well, not the messy kind...but easy to clean up glitter paper! 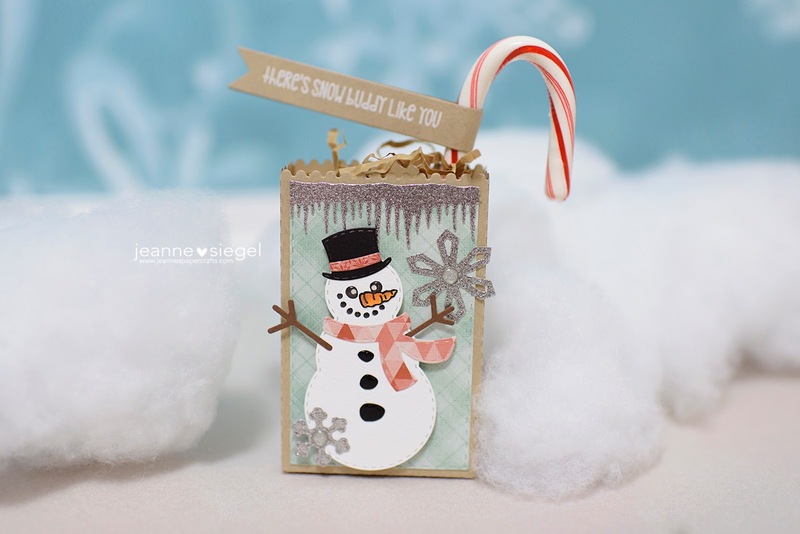 I used my Big Shot to cut dies from the Jaded Blossom Winter Dies set for the snow at the top and my snowflakes. That's it from me for today. 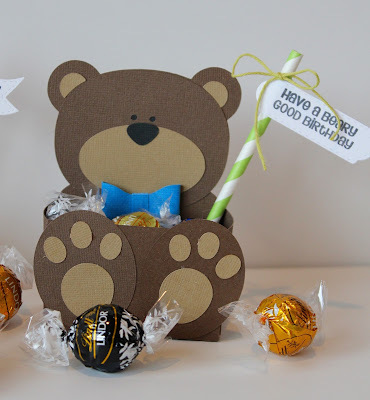 I hope you enjoyed my guest designer project! Don't forget to check out the rest of the designers this month on the Jaded Blossom blog. And remember, head on over to the Jaded Blossom store to check out all of the stamp and dies they offer. If you feel like creating something, check out the Jaded Blossom Monthly Challenge HERE! Link up your project, because I can't wait to see what you create...and you have the opportunity to win a prize! 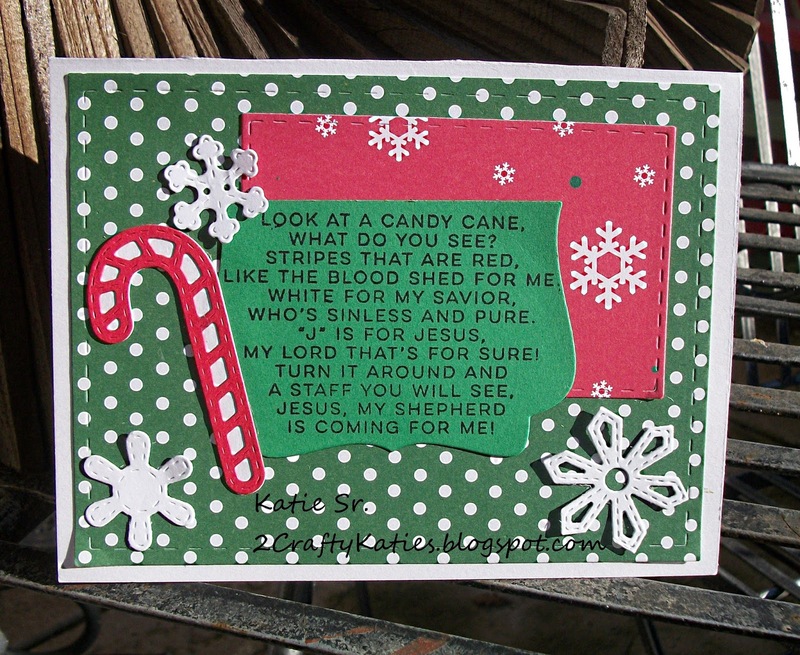 Katie Sr. here from 2CraftyKaties for today’s Guest Design post. 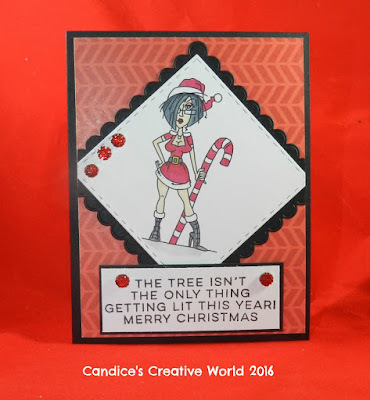 Thank you Candace and Michelle for another amazing month of Guest Designers. 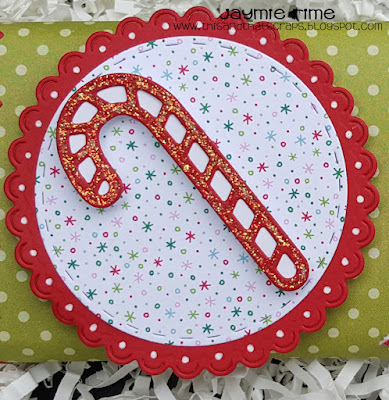 Jaded Blossom: Card Mat Die, Fancy Topper insert die, Winter Die, Christmas Die, Rectangle Die 1. 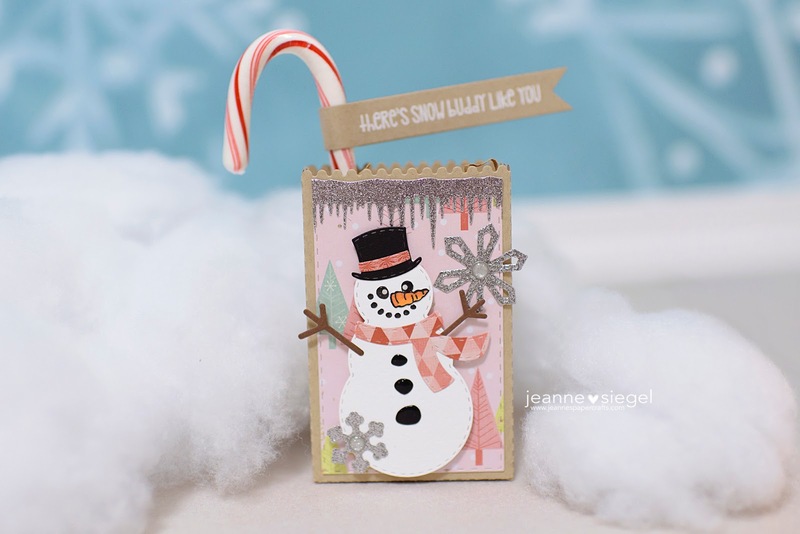 This is Marlene from ScrappinCookie and I'm super excited to be part of the December 2016 Guest Designers for Jaded Blossom! Thank You Candace and Michelle for such a great opportunity! 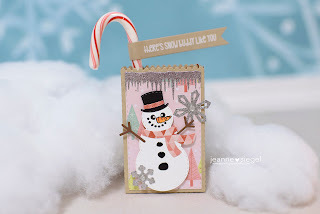 Today I have a fun treat box to share with you all using some of Jaded Blossom's Stamps & Dies. I started off with the SVG Cutting Files Standing Mailbox Treat Box and made a few tweaks. 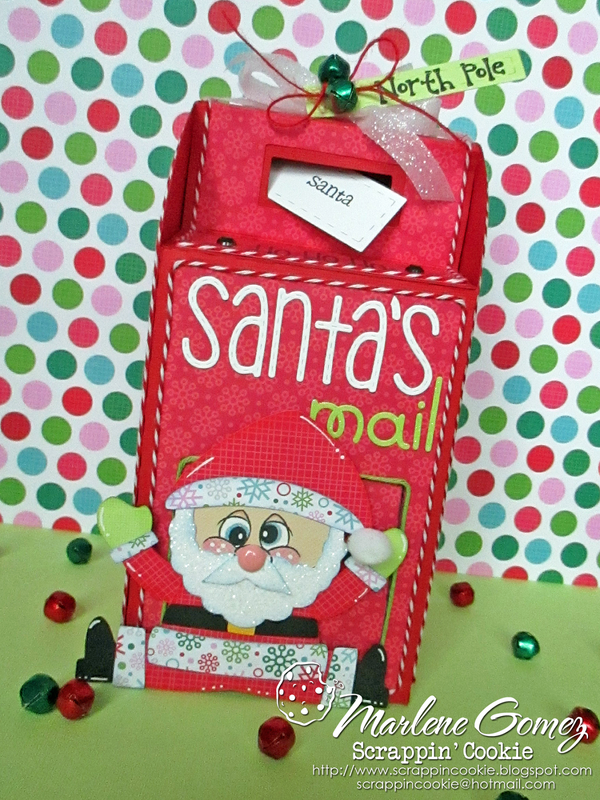 I embellished the front using the Jaded Blossom Alphabet Dies to cut out the word "Santa's" and used some Doodlebug Design Cardstock Stickers for "Mail". 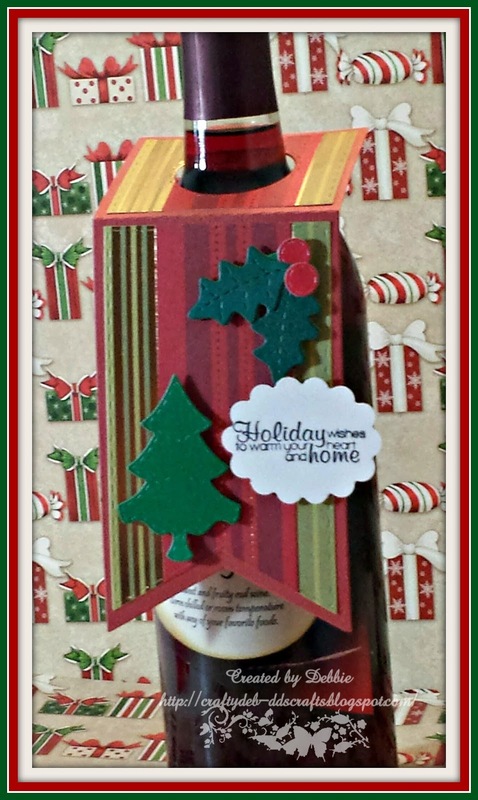 I made a "Letter to Santa" using a Rectangle Die from the Jaded Blossom Card Mat Dies and masking off a phrase from the Jaded Blossom Merry &Bright Stamp Set leaving only the word "Santa". I also stamped the phrase "Ho Ho Ho" on to the mailbox from the Jaded Blossom Christmas Signs Stamp Set. 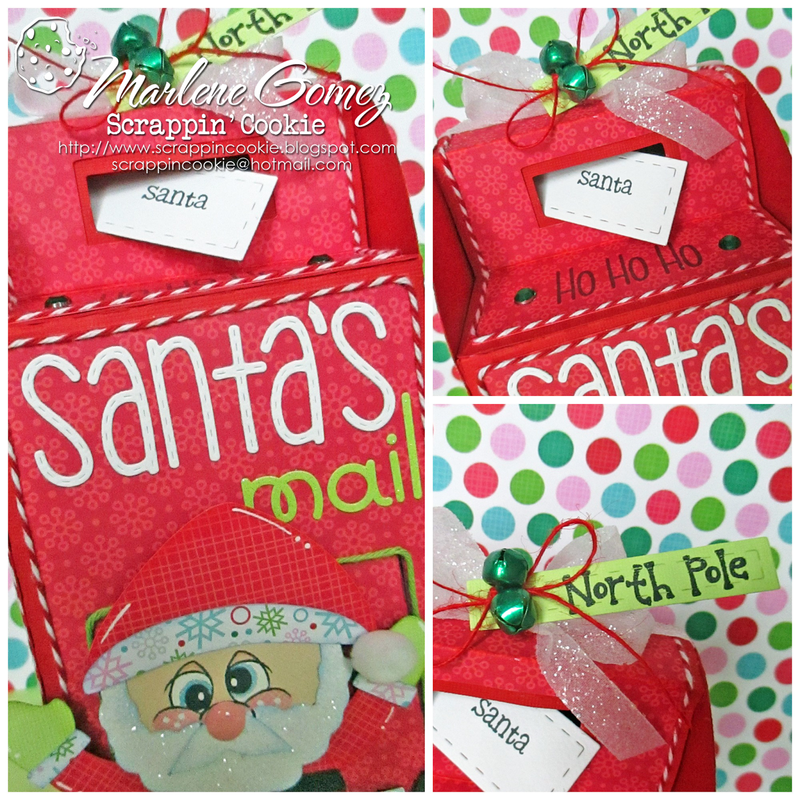 I made a sentiment strip using the Long Thin Rectangle Die from the Jaded Blossom Card Mat Dies and "North Pole" phrase from Jaded Blossom Christmas Signs Stamp Set and tied it to my ribbon embellishment. 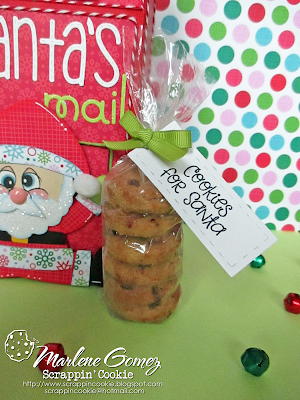 Inside I added some Mini Chocolate Chip Cookies to a Jaded Blossom 2.25" x 8" Clear Bag - trimmed down - and tied it off with a Rectangle Die from the Jaded Blossom Card Mat Dies and "Cookie for Santa" from the Jaded Blossom Christmas Signs Stamp Set. I hope you have enjoyed my project today. I had so much fun putting it all together using all those great Jaded Blossom Products. 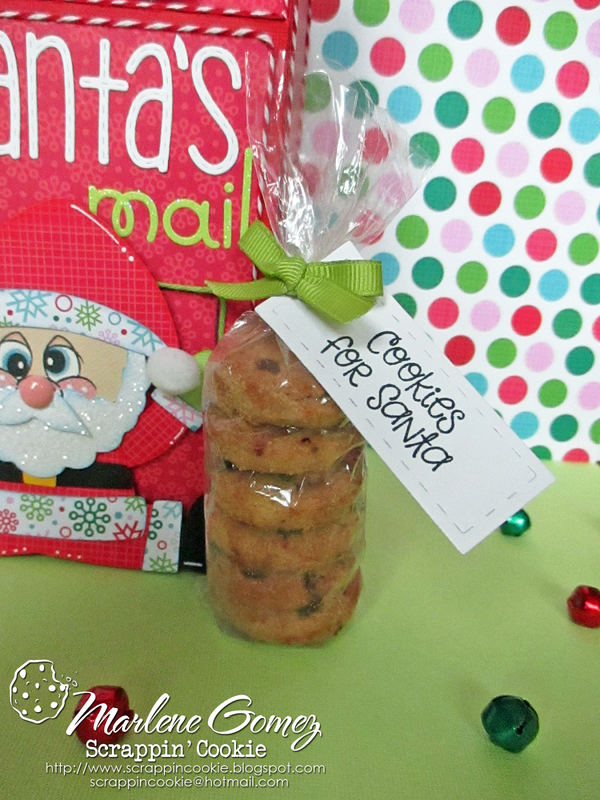 If you'd like more information or details on my SANTA'S MAIL TREAT BOX, be sure to check out my blog - ScrappinCookie. Happy Friday!!! Thank you so much for joining us in celebrating Jaded Blossom's 5th Birthday with a die release blog hop!! Hey everyone! 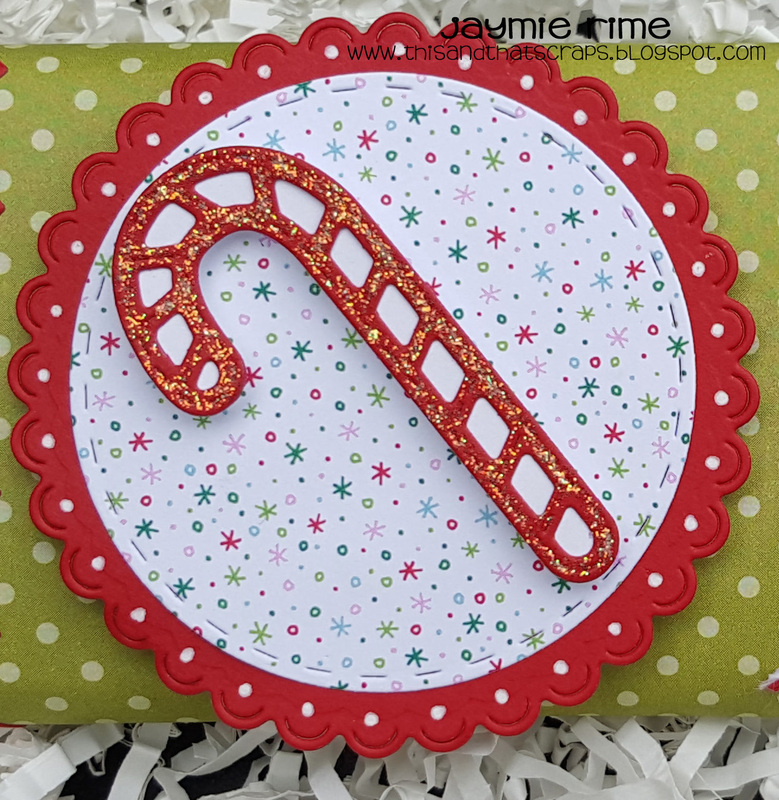 It's Jaymie from This and That Scraps and today I have the privilege of being one of the December Guest Designers for Jaded Blossom. 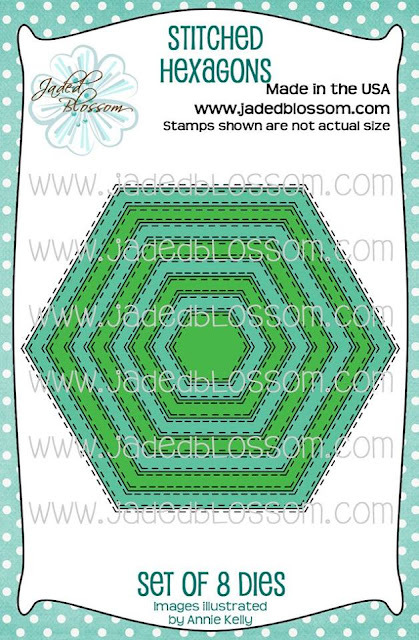 I am a HUGE Jaded Blossom fan and I absolutely LOVE all their stamps and dies--it makes things super easy especially when you want to create something and not break out the computer and cutting machine every single time. So for today's project, I did just that! 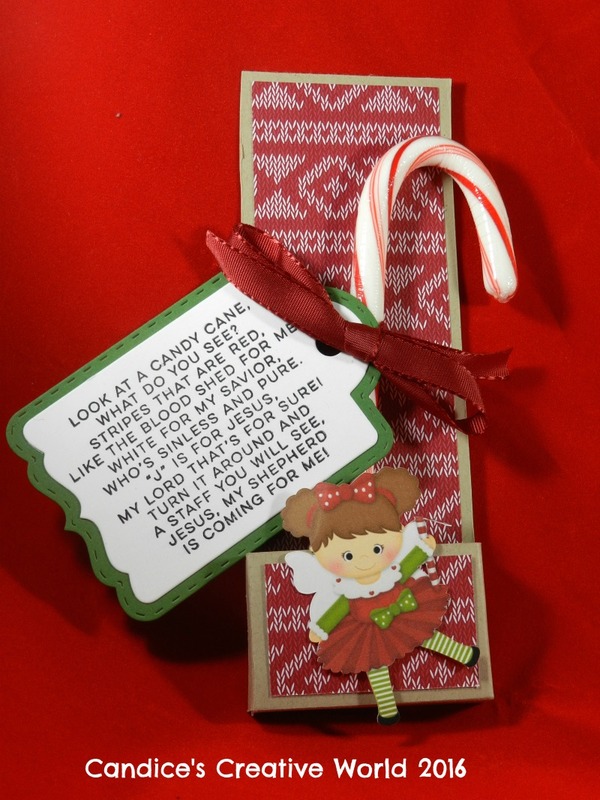 I bought a few of these Hershey's Candy Cane chocolate bars and made these super cute wrappers to go around them so that I could pass them out to a few of my coworkers. 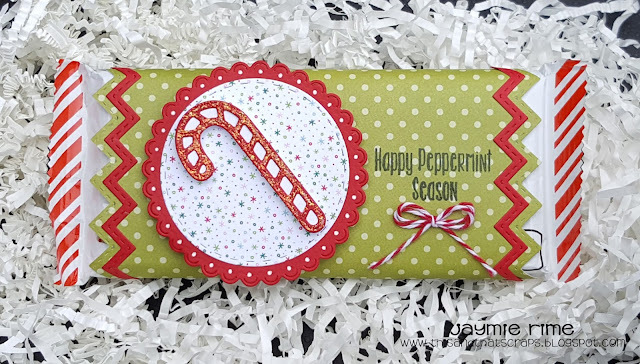 And finally I stamped "Happy Peppermint Season" off of the Peppermint Season stamp set, which was perfect for this candy bar! Well I hope you enjoyed my fun little treat I made, and I would like to thank Candace and Michelle for choosing me to be a guest designer this month! 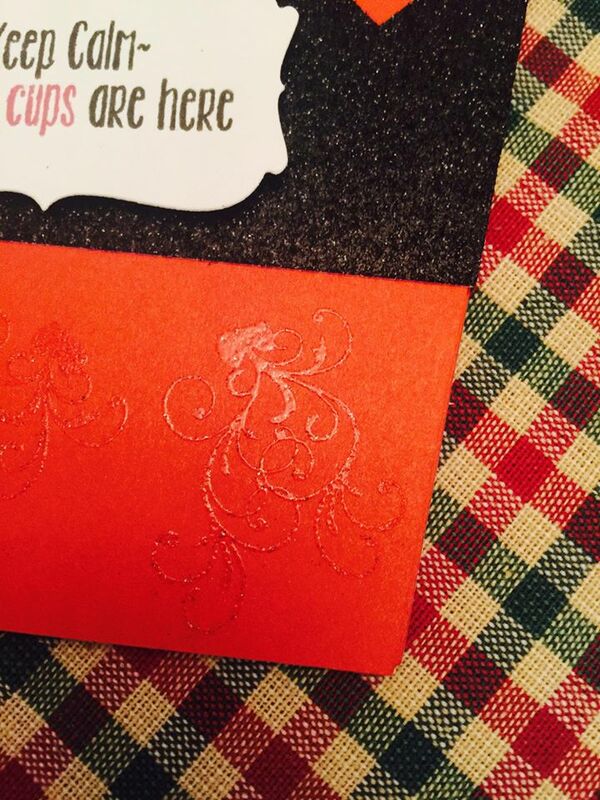 Make sure you stop by tomorrow to check out a new project made by another talented guest designer. Hello Jaded Blossom friends! 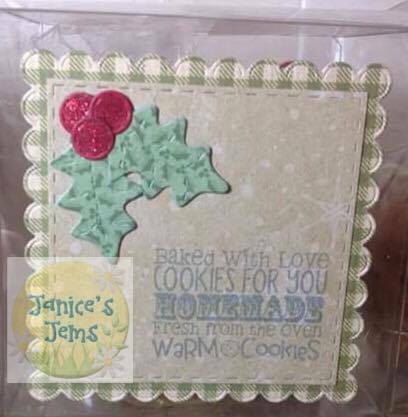 Janice here from Janice's Jems! 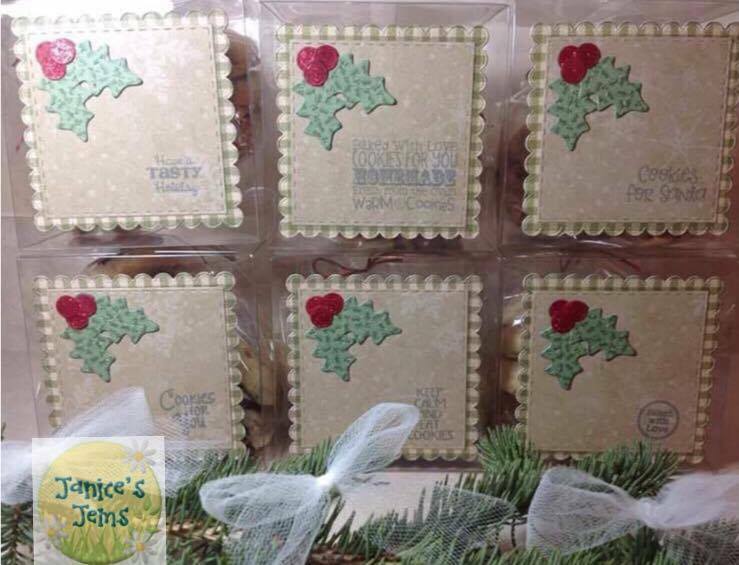 I am here today to share a project I made for an upcoming bake sale at work! For my project today I used lots of Jaded Blossom products - after all, they are meant to work so well together.